Meet the Spoke Literary Festival Instructors! At this annual literary festival, we hope to bring writers together to discuss the joys and challenges of writing, to share their work with others, and to learn from one another. We look forward to seeing you again or meeting you for the first time at Spoke Literary Festival 2018! 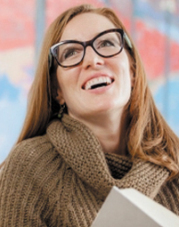 Ashley Little is the author of five award winning novels including– Niagara Motel (2016), Anatomy of a Girl Gang (2013), and PRICK: Confessions of a Tattoo Artist (2011). Her work has won the Ethel Wilson Fiction Prize, the Sheila A. Egoff Children’s Literature Prize, the Vancouver Writers’ Fest Short Story Prize and the Okanagan Short Story Prize. She has also been a finalist for the Re-Lit Award, the City of Vancouver Book Award, and twice been longlisted for the International Dublin Literary Prize. Her novel Confessions of a Teenage Leper is forthcoming with Penguin Randomhouse in the fall of 2018. Ashley lives in Kelowna. Whether you’re writing a short story, novel, stage play or film script, your characters need to speak, and their dialogue needs to sound authentic, reveal character, propel the plot, and be snappy enough to hold the reader’s attention. In this workshop we will discuss developing an ear for dialogue, practice writing dialogue and learn ways to craft truly great dialogue. 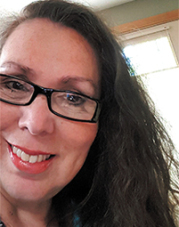 Dania Tomlinson is a MFA graduate of UBC Okanagan, where she is now employed as a Sessional Instructor and the Coordinator of Writing and Research Services. Dania grew up in the Okanagan, and the landscape of the valley, with its teeming forests, orchards, and haunted lake, populates her imagination and influences her work. Her fiction has won awards and been published in literary magazines like Room and SubTerrain. 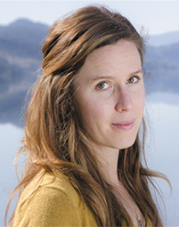 Dania’s debut novel, Our Animal Hearts, is a work of historical fiction set in the Okanagan and was released by Doubleday Canada in May 2018. The first chapter, first page, first paragraph, and even the very first sentence of a story or novel dramatically influences the direction, tone, structure, and narrative limitations of the rest of the work. Since editors, agents, judges, and even readers, will stop reading if they are not immediately hooked by the writing, how a story or novel begins is essential to its success. The beginning paves the way for the rest of the story. Early decisions such as point-of-view, voice, and tense, inform the rest of a work. But where we start is rarely how we should begin. And how a story should begin is rarely where we started from. In this workshop, we will discuss beginning versus starting and use examples and exercises to learn the ins and outs of crafting the best beginning possible. 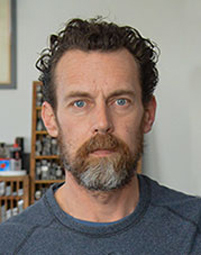 Jason Dewinetz is a writer, editor, typographer, printer, publisher, and educator originally from, and now living back in, the Okanagan Valley. Jason is the proprietor of Greenboathouse Press and has worked as a freelance book designer & typographer for publishers across Canada, including the University of Calgary Press, the University of Alberta Press, NeWest Press, and various other academic and trade publishers. He is currently the North American Chair of the Fine Press Book Association. As of 2011, Jason’s design and production for Greenboathouse has brought in more than a dozen national book design awards, and in 2008 he served as judge for the Alcuin Awards for Excellence in Book Design in Canada. 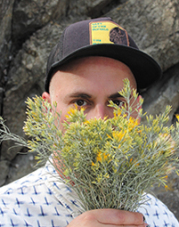 After three years teaching Publication Design at the University of Victoria (2001-2004), Jason is currently an instructor in English, Creative Writing and Publication Design at Okanagan College. Participants will take part in an intensive introduction to letterpress printing, hand-setting metal or wood type and printing on an antique Chandler & Price platen press. Given the very limited time available, participants will each set a line or two of type and work together to print a broadsheet of Pablo Neruda’s poem “Ode to Typography.” Be prepared to get your hands dirty (literally)! Michael V. Smith is a novelist, poet, and memoirist who also makes short films and small-stage performances. His novel, Cumberland (2002), was nominated for the Amazon/Books in Canada First Novel Award. In past years, Smith won the inaugural Dayne Ogilvie Award for Emerging Gay Writers, a Western Magazine Award for Fiction, multiple prizes for short film, and was nominated for the Journey Prize. His first book of poetry, What You Can’t Have (2006), was short-listed for the ReLit Prize. He has also published a hybrid book of concrete poems/photographs, Body of Text (2008), with David Ellingsen, and his newest book of poetry, BAD IDEAS, was released in May, 2017. His memoir, My Body Is Yours, was published in 2015. 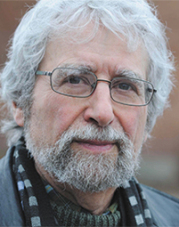 Michael V. Smith currently teaches Creative Writing at UBC Okanagan in the Department of Creative Studies. This is a workshop for all levels of writer. Together we look at the relationship between structure and imagery. Or, better put, we investigate what happens to what things. This workshop sources film, poetry, and fiction to help you build better writing machines. How do the images you choose (re-)make meaning? What is the relationship between a story’s objects, its structure, and its theme? What strategies of thingness and order can you use to better guide a reader towards your creative question? The workshop uses group mind-mapping, story-making, cultural analysis, and writing exercises to look at aspects of making meaning. All genres, all levels of writers are welcome. Like it or not, everything about our lives is influenced by our parents and their parents before them. As adults constructing personal narratives, how do we write about our mothers and fathers in a way that is meaningful, universal and compelling? In this workshop, we uncover why writing about our parents is a critical part of memoir, and how to begin thinking about them as characters with stories both separate and connected to our own. By dissecting how some of the greats have written about their mothers and fathers, we see how, as memoirists, writing about our parents can be our most important work. Before you come to this workshop, look in your hall closets, cabinets, tool kits, anywhere you notice folds. How were you taught to fold – towels, paper, your arms, the way to describe hills, the draping of a dress or where you keep your sheep? Poet Dennis Saddleman releases the clenched folds of his residential school experience in his poem “Monster.” I released mine by ripping bathroom towels from their closet: my first exorcism of demanded folds. In this workshop, we’ll purge the metaphorical fold, throw that towel to the tiles – bone bend words beyond binding to allow our folds to ‘escape and rot their way into a thousand minds’. A caution: our time together will evoke emotion, and in the realm of poesy, emotion is inevitable! 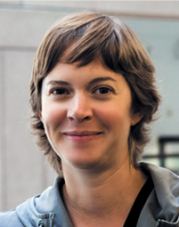 Sarah de Leeuw is the author of six literary books, editor of two academic texts, and writer of more than 100 journal articles and book chapters. 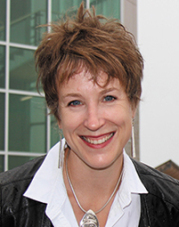 Sarah holds a Ph.D. in historical-cultural geography and is currently an Associate Professor with the Northern Medical Program at UNBC, the Faculty of Medicine at the University of British Columbia. She teaches and conducts research about medical humanities and the determinants of marginalized peoples’ health. Her first book of poetry, Geographies of a Lover, won the 2013 Dorothy Livesay Poetry Prize. In 2017, her book of creative non-fiction essays, Where it Hurts, was shortlisted for a Governor General’s Literary Award. For two consecutive years, Sarah de Leeuw was honored in the Creative Nonfiction category of the CBC Literary Awards, winning first place for Columbus Burning in 2009, and second place for Quick-quick. Slow. Slow in 2010. As well, in 2013, her creative non-fiction essay Soft Shouldered (published in PRISM International) earned a Western Magazine Gold Award, recognizing the interdisciplinary nature of her work between literary arts and health sciences. de Leeuw was appointed in 2017 to the College of New Scholars, Artists and Scientists of the Royal Society of Canada. She currently divides her time between Prince George and Kelowna, British Columbia. This hands-on yet seminar-styled workshop will include both a “theoretical” dimension and a series of writing prompts designed to consider language and topics in innovative ways. Anchored mostly in short works of creative (or literary) non-fiction, the workshop will consider ethics in writing creative non-fiction including voice appropriation or writing about things we don’t know. This workshop will involve participants considering the politics of political writing, will explore the literary techniques of sound, rhyme, repetition, lyricism in writing creative non-fiction, and will provide participants with practical tools and connections for undertaking research in the genre. Participants are asked to bring enough print outs of a short sample of their own work to share (if they’d like), as well as any examples of creative non-fiction they admire. Participants are also asked to bring a short bio of a creative non-fiction author they admire. Tom Wayman has published innumerable books of poetry, fiction and nonfiction. Recent volumes include collections of his poems, Helpless Angels (Thistledown, 2017), short stories, The Shadows We Mistake for Love (Douglas & McIntyre, 2015), and essays, If You’re Not Free at Work, Where Are You Free: Literature and Social Change (Guernica Editions, 2018). Wayman has taught English and writing widely across North America, including for Okanagan University College 1992-1995, and most recently for the University of Calgary 2002-2010. In 2015 Wayman was named a Vancouver, B.C. Literary Landmark, with a plaque on the city’s Commercial Drive commemorating his contribution to Vancouver’s literary heritage through his championing of people writing for themselves about their daily employment. Since 1989 he has been based in the Slocan Valley in southeastern B.C.’s West Kootenay, where he is active in a number of community literary ventures. Visit Tom’s website HERE. Most literary anthologies present a portrait of a country in which nobody works. One can browse a bookstore, attend a literary festival, or stroll through a book fair and not find any significant reflection of how work is the central and governing experience of everyday life. Blue- or white-collar, paid or unpaid, our work determines (or strongly influences) our standard of living, who our friends are, our opinions on a range of social issues, how much time, energy, money we have during the hours each week off work, and more. The pervasive taboo in all the arts against an accurate depiction of, let alone assessment of, the ways employment shapes a human life gives the lie to the claim that literature or the other arts “tell the human story.” Nor can a “work/life balance” exist because in reality, we’re alive at work, too. This all-genre workshop will look at why the taboo exists, consider examples by some North American poetry and prose writers who have chosen to break the taboo, and engage in writing exercises intended to sharpen perceptions of this vital, albeit currently suppressed, subject matter.